Bread boxes have been around for… well, for a long time. Keep bread fresh–or as fresh as it can be–is important since bread has always been a staple food in our diets. That why these wonderful containers work so well in farmhouse decorating. There’s a nostalgia to them, but they are still as functional and attractive as ever. Especially metal ones. 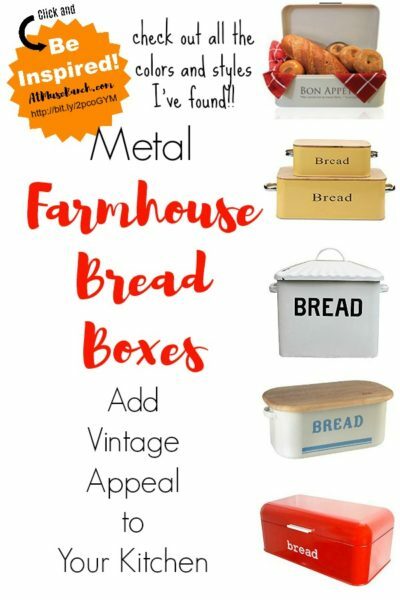 I’m concentrating on the metal bread boxes because they’re fit so wall into country and farmhouse style. And the shapes, sizes and colors and eye-catching, for sure.